Sweet Little “C” had her first Birthday coming up and DIL “K” told me that she was doing a Vintage Carnival/Circus theme. I was perusing Pinterest one late night…(Who am I kidding? I peruse Pinterest EVERY night…and day for that matter!) 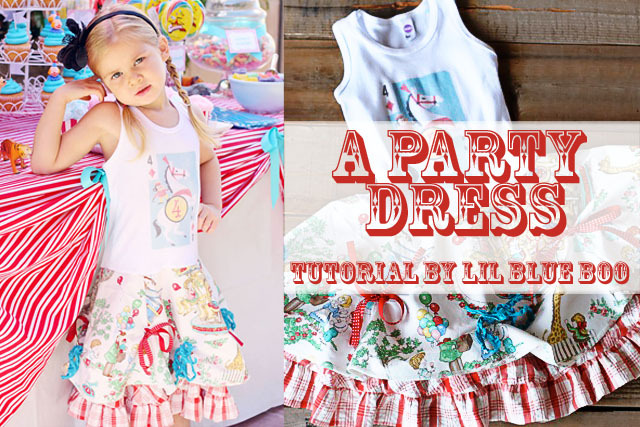 and I came across this adorable dress made by Ashley Hackshaw from Lil Blue Boo. and is used here only for reference purposes. I knew “K” would love it, so I pinned it to my sewing board and tagged her in the pin so she’d see it. She really fell in love with the dress, as did I, so I told her that I would try my best to re-create it, but that I was sure my sewing skills were not up to the level of Ashley’s! Fortunately, Ashley sells the pattern for the skirt portion of the dress and has a tutorial on how to add the tank top and underskirt to make the finished product. I purchased the pattern from Ashley and was lucky enough to find the vintage crazy eights cards on ETSY and purchased those also. I had a hard time tracking down the adorable fabric she used though, so I e-mailed her and found out it was called “To the Zoo” and she had purchased it from a store in North Carolina, called Mary Jo’s. 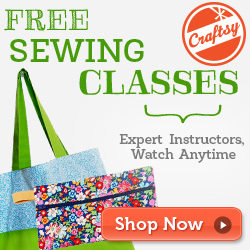 I found their website and called them, as I did not find the fabric on their site. They were kind enough to search for me and finally came up with 3-5/8 yards remnant. I was so relieved, as I had searched “High and Low” on the internet and in stores to find that fabric or something remotely similar to no avail. Most of the carnival/circus fabric I found was brightly colored and “K” wanted the vintage look, with the more muted colors. I pretty much tried to re-create the dress exactly as it was on the Lil Blue Boo blog, with the exception of adding Pom-Pom fringe to the bottom of the top skirts. The fabric I used for the underskirt was slightly different than what Ashley used, but it was a close as I could come to it. I scanned the crazy eight cards I needed for the shirts and then printed them out on SuperSoft Inkjet Transfer Paper from Dharma Trading Co. and applied them to the shirts following the included instructions. At this point, the dress was pretty much done with the exception of the bow embellishments. “B”s dress fit perfectly, but I had to take the shirt up a bit on “C”s as the tanks were long bodied and even though I trimmed them before sewing them to the skirt, Claire’s had to be trimmed a second time and re-sewn. The girls really loved them and so did “K”! That made me happy and I learned a lot by tackling this project, because it was a bit out of my league, but I know the more I sew, the better I will get at it. So many thanks to Ashley at Lil Blue Boo for the awesome inspiration! And…thanks to Pinterest, because without it, I may have never found Ashley and her really neat blog! Go check it out if you get a chance, www.lilblueboo.com not only are her projects inspiring, SHE is one of the most inspiring persons I’ve ever seen and she will enlighten you and brighten your day for sure! Just a quick note about the project: If you decide to try it, be sure to go to Ashley’s blog and follow her tutorial and pattern instructions carefully, as she has more detailed info on this project than I have and she was very patient with me when I had a few questions during the process of making these dresses. I hope one day to be able to do detailed sewing tutorials of my own, but I am not quite there yet in expertise and Ashley is really good at it! Take Care Crafty Friends and thank-you for joining me today!